After Diwali Series it's time to start our Halloween Series!! Halloween is one of the Holidays in many countries which is celebrated one day before All Saint's Day. Halloween is all about Costumes, Horror DIYs, Trick and Treat and lots and lots of Candies. This Halloween we are coming up with many creepy DIYs and Recipes which will definitely scare and thrill you. 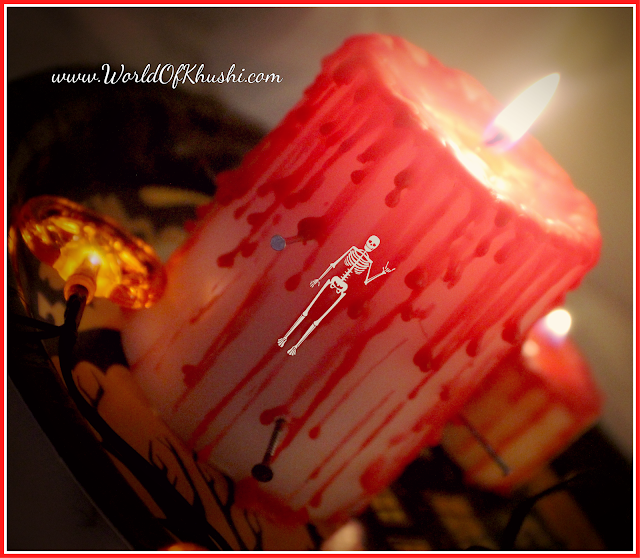 So enjoy this Halloween Series with our first quick and very easy DIY called as Bleeding Candle.💀 Let's see how to make it!!! Step 1. Remove all the stickers form the Candles. Step 2. Cover the work surface otherwise melting wax will ruin your surface. I am using paper plate you can also use Parchment Paper. Step 3. Now we want the melted Wax of Red Candle. Using Lighter light the Red Candle and leave it for 2-3 minutes. Step 4. Take your White Candle and place it on top of your Paper Plate. Step 5. Nail some Cut tacks on the White Candle. Step 6. 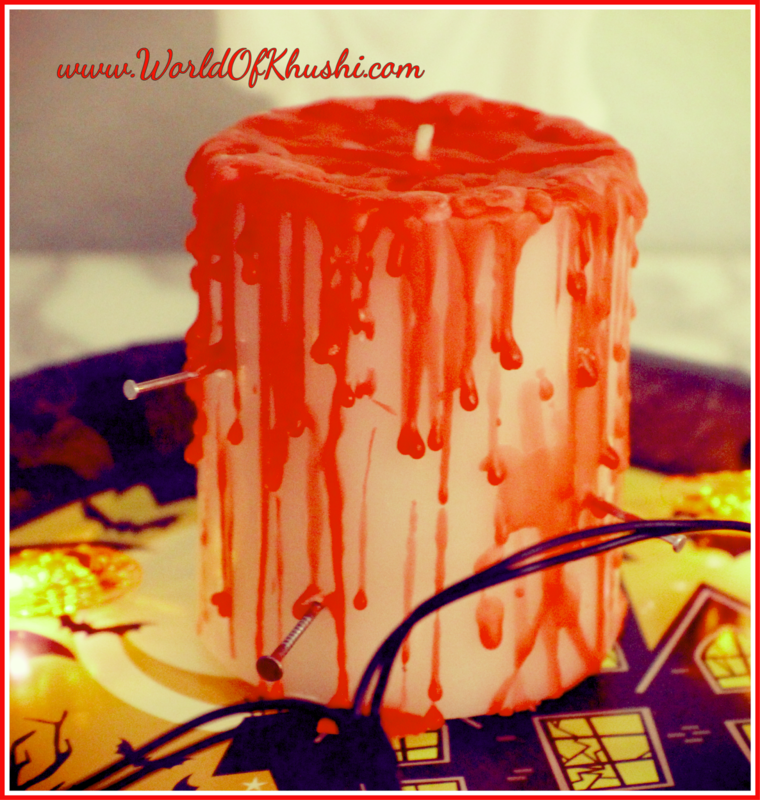 Start dripping the melted Red Candle Wax on top of White Candle in freestyle. Refer picture for details. Be cautious as the wax will be hot. Step 7. Wax will cool down within 2 mins then you can use it. 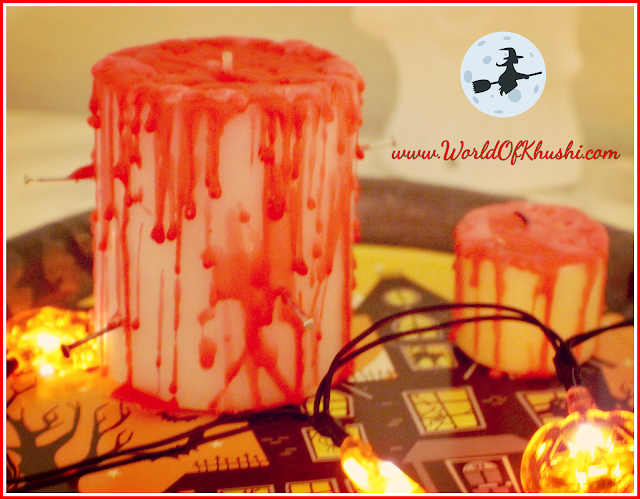 Your Bleeding Candle for Halloween is ready. Make as many as you like and decorate your Home this Halloween. I decorated these Candles with some Halloween Lights and as a base I used Halloween plate. 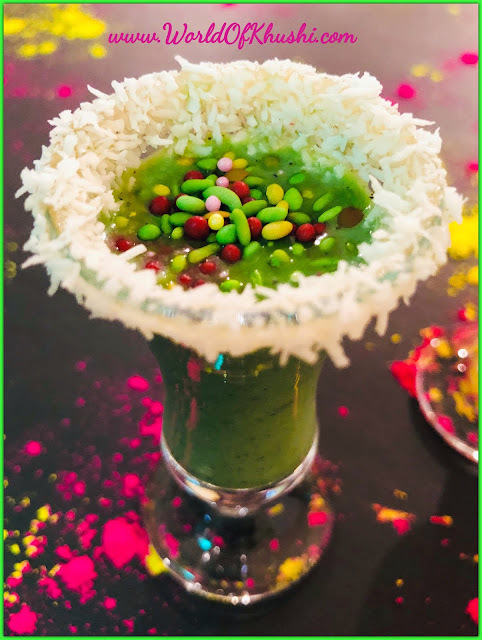 You can decorate it as you like. Be Creepy and Creative!!! I hope you will like this DIY. 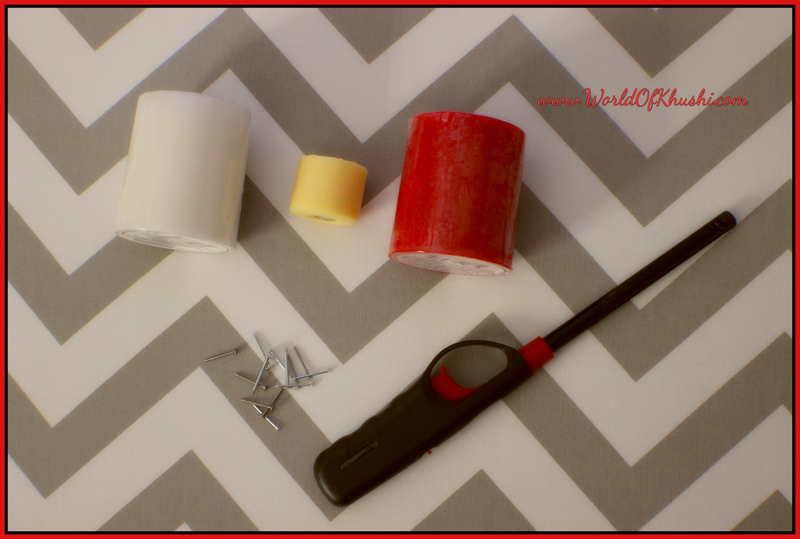 It is very easy and inexpensive DIY. Do try and share your feedback with us, don't forget to send your pictures too. 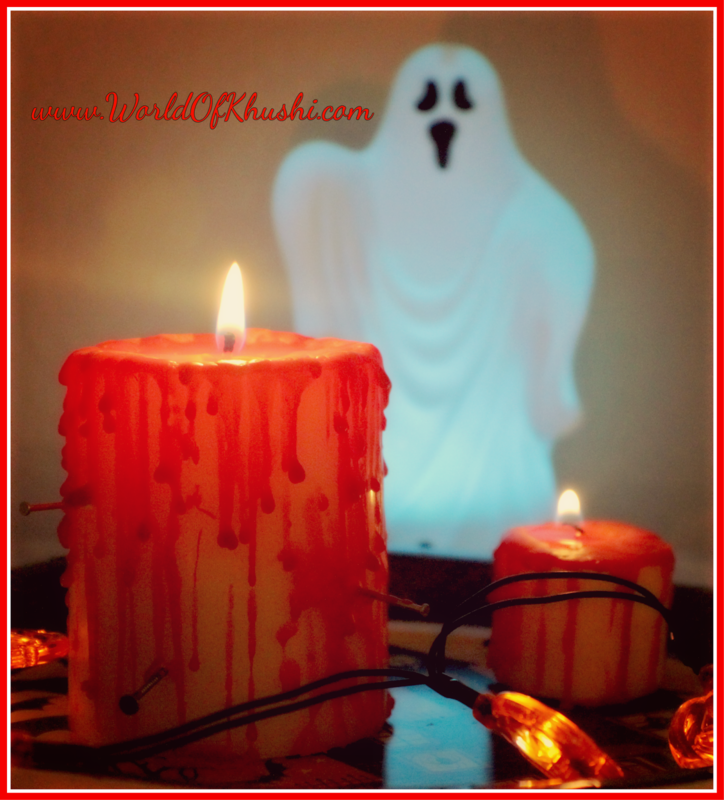 For more such easy Halloween DIYs stay tuned with Khushi's World.